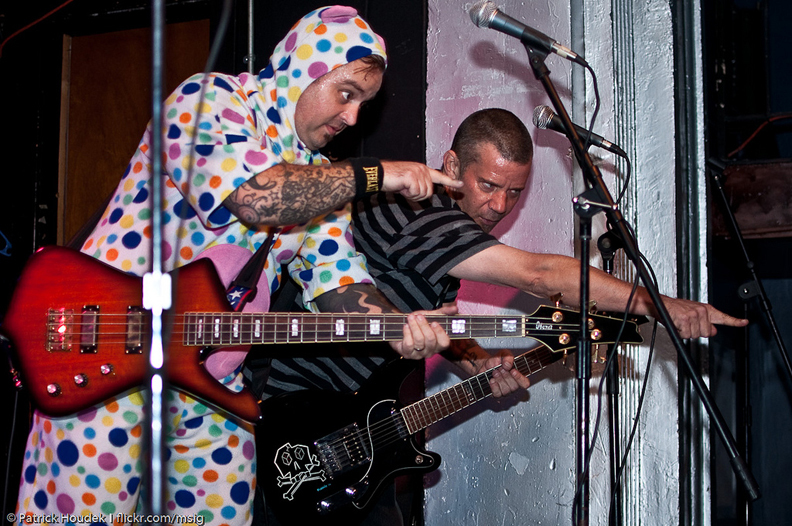 Greg "Plushie" Hanna & Dave Teague onstage with The Dickies somewhere in the Midwest USA - 2011. Photo by Patrick Houdek. From the personal archives of Greg Hanna.